This program focuses on planning and practicing for large-scale events in your community and stresses the importance of knowing what constitutes an MCI in your jurisdiction. By using the incident command system on every incident to which you respond, you increase your success during large, complex, and emotional events. How can responders convince patients to accept treatment and transport? What is the best way to document refusal of treatment? A review of the important ways responders can document and protect themselves from future liability in patient refusal situations. Rehab sectors are set up specifically to provide rest, rehydration, nourishment, medical monitoring, and medical evaluations. This program emphasizes the EMS role in rehab sectors, details how and when rehab should be used and reviews the NFPA 1584 minimum criteria. Patient care reports are medical, as well as legal, documents. This class reviews important components of the PCR and shows how properly completed documents can protect you and your organization against claims of negligence. Rescuer safety often takes a back seat when patient care becomes the priority. This class offers insight and experience in scene size-up, steps to take for risk reduction, and basic guidelines for specific types of on-scene hazards. How to stay safe on scene, communicate effectively, and handle emotional situations. Methamphetamine labs should be treated as HazMat incidents. This class identifies clues and warning signs of clandestine labs. Reviews physiological and physical effects of meth addiction. Dramatic video of meth labs and addicts illustrates dangers to EMS personnel. Potential hazards, greatest risks, and misconceptions about safe driving are identified. Black box technology, driving simulators, and vehicle cameras explained. Learn how to create a culture of safety within an organization. Featuring Richard Patrick, MS, EMT-P, Department of Homeland Security. Tactical medics, or tactical emergency medical services (TEMS), are trained responders who provide emergency medical care in tactical situations where traditional EMS providers cannot or should not enter. 2 Tactical medics receive specialized training and play a role in law enforcement operations when civilians, officers, or perpetrators of a crime are injured. In contrast to standard emergency medicine where the patient is the focus of the situation, tactical medicine allows specially trained EMS personnel to provide emergency life-saving care while the tactical situation develops, allowing law enforcement to complete the mission. Whether the situation is a high-risk search warrant, an active shooter event, a barricade or hostage situation, or a bombing, the TEMS component is vital in today’s war on crime. This program provides general information on the role of the tactical medic, the types of emergency scenes to which a tactical medic responds, and the training and skills preparation specific to the position. 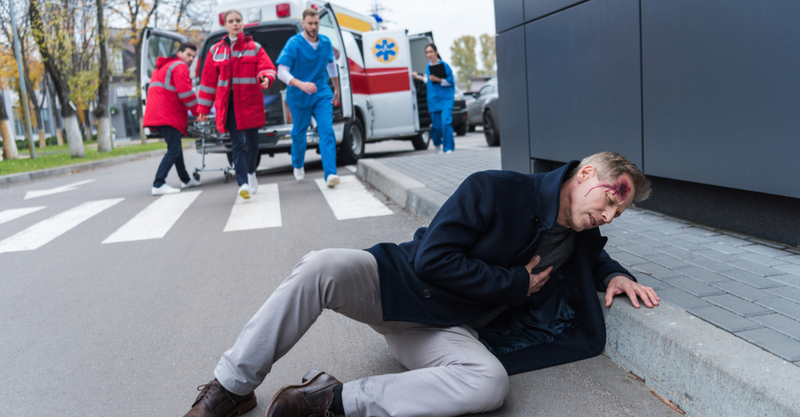 An incident with multiple victims is referred to as a Multiple Casualty Incident (MCI) when the total number of casualties is more than the customary emergency medical system (EMS) assignment can quickly or effectively treat and transport; when demand exceeds the normal, local resources. There are several facets that must be managed in order to successfully handle an MCI quickly and efficiently. One of those is the Transportation Group, which coordinates the transportation of all patients as part of surge control and efficient scene management. This program reviews the role and responsibilities of the Transportation Group at an MCI. In addition, the program will discuss responder considerations related to patient surge from an MCI, which can be applied any time emergency departments are experiencing patient overloads. The goal of the program is to ensure the efficient management of the logistics involved with an MCI, with a focus on transportation coordination. It is imperative that responders are in control of the scene, even with the large number of patients. Extended patient care refers to managing the overall safety and well-being of a patient when there is a longer-than-expected transport time involved in transferring a patient from the scene of a medical emergency or traumatic injury to a definitive care facility. During an extended transport, patient care and comfort is a dynamic process, and requires ongoing observation and adjustment to ensure the patient’s continued well-being and safety. This course defines the techniques to follow in applying care and treatment protocols in order to ensure the patient’s maximum comfort and safety and improve patient outcomes. Featuring Kevin T Collopy, BA, FP-C, CCEMT-P, WEMT, Performance Improvement Coordinator, AirLink, VitaLink, Pilots, New Hanover Regional Medical Center, Wilmington NC. 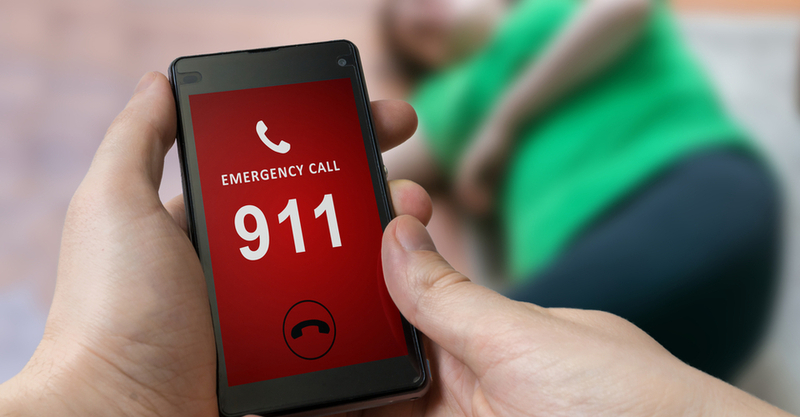 Workplace stress is an increasing concern for emergency service responders. Stress as a condition has several causes and the extent of the reaction to stress often depends on a person’s disposition and circumstances. The onset of stress can be subjective; the physiological and psychological impact of stress on the human body is significant. When a person is experiencing acute stress, the body reacts as though a threat to survival exists. Emotions take control and cognitive functions are impaired. Although the body’s immediate stress responses (like the release of adrenaline) can help a person to deal with the initial real or perceived threat, the effects of unrelieved or chronic stress can result in a serious risk of developing life-threatening diseases. Both employers and staff who provide emergency services can benefit from learning about the factors that contribute to workplace stress and possible negative implications for job performance and personal health. 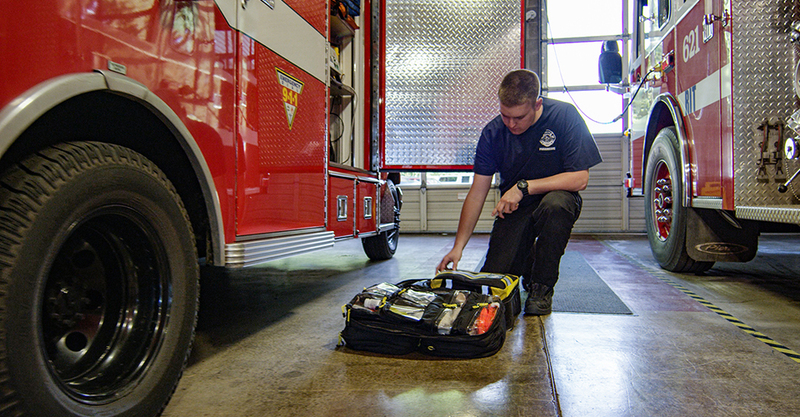 For EMS responders, back injuries are the most common injury to experience in the line of duty. These injuries, in addition to being painful, can lead to extended time away from work, and even end an EMS career. To reduce your risk for back injury, review the basic structures in the back that commonly sustain injury, the mechanics of safe lifting, and the steps to follow to coordinate a lift safely.